Gold and Silver Storage – You Have Many Options! You own it. Do you know how to store silver and gold securely? Secure precious metal storage is important given that thefts of valuables are on the increase – and will continue to be as gold and silver prices rise and the economy sinks. According to the FBI, $1.6 billion worth of precious metals and jewelry was stolen in 2010, a 51% increase from 2005. Less than 5% of stolen precious metals are ever recovered and returned to the rightful owners. There are a number of viable options for storing gold at home, storing silver at home, or bullion storage programs at third-party silver/gold storage facilities. 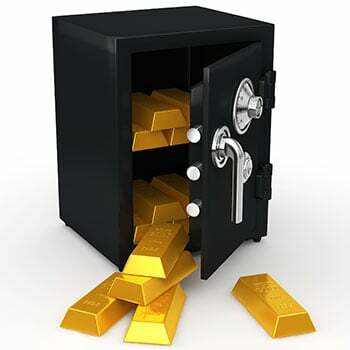 Home safes, decoy safes, ground burial, safe-deposit boxes, and secure bullion storage facilities can all be good places where to store gold bullion and silver bullion. 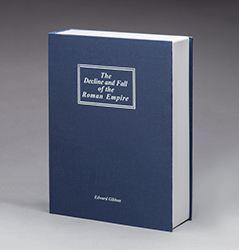 Each of these options has their own advantages and disadvantages that should be considered. It's not so much a question of which one to employ. It's more a question of which ones to employ in order to balance the primary concern of safeguarding your precious metals from theft with the secondary concern of ensuring at least some of your metals are readily accessible at all times. It is prudent to diversify your storage locations and methods to manage your exposure to the risks of theft, fraud, and disaster. By so doing, in the unlikely event that one of your precious metals stashes disappears entirely, you'll have backup holdings to prevent a total loss of your precious metals wealth. We do suggest, as a starting point, that you have at least some sizable emergency cache at home for ease of access. A good home safe is a logical place where to store silver and gold (at least some of your holdings). It will help keep children, friends, housekeepers, plumbers, and other individuals you invite in your home honest. It won't necessarily deter a committed burglar, though, especially if the safe isn't bolted down or otherwise physically attached to your home's architecture or an immovable object. A burglar armed with a few tools that can easily be obtained at a hardware store will be able to break open most safes. So the most secure home safe may actually be the one that is best concealed. A safe may not even be necessary if you give some thought to how to hide gold or how to hide silver in your house using a few clever hiding spots – attic, beneath floor boards, behind a furnace or refrigerator, etc. An effective hiding place can even be one that's in plain sight. A burglar is going to look for jewelry boxes and safes and ignore most of what's right before his eyes. A diversion safe that resembles a common household product such as a can of shaving cream will easily fool most thieves, provided it looks genuine and is in an appropriate location (a can of Barbasol doubling as a safe belongs in a bathroom next to shampoo, lotion, etc. ; not by itself in a bedroom closet). You can buy diversion safes through Brickhouse Security (800-654-7966), Amazon.com, and possibly a specialty store in your area. However, you don't even need to buy a diversion safe when you can easily create one out of containers you already have in your house. Boxes, canisters, cans, or bottles with recloseable lids – anything that is able to hold valuable contents without drawing attention to the fact could potentially be used. To make a portion of your precious metals stash virtually impossible to be discovered by burglars, bury it deep in the ground. This method provides your gold and silver greater protection from theft, but at the cost of limiting their accessibility. So it's a long-term gold and silver storage solution only! Bury your precious metals cache near visible landmarks that will still be around years from now. Be sure to place your precious metals in a sturdy, water-tight container. Let one highly trusted person know of the whereabouts of your cache in case your time on Earth ends before you can retrieve it. 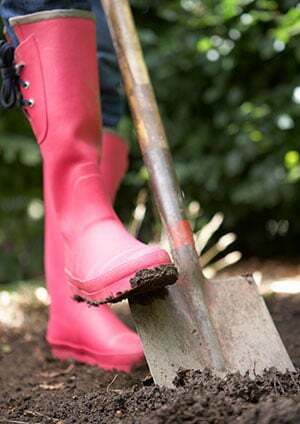 Have a cover story ready for nosey neighbors who may observe your digging. This points up the general importance of not talking about your precious metals ownership with anyone who isn't very, very close to you. We all enjoy talking about things that we value personally, financially, ideologically. Avoid the temptation to talk about your own physical precious metals holdings. Entrusting some portion of your precious metals to a third-party's vault offers both security and hassle-free convenience. Bank safe-deposit boxes are a popular choice and are more secure from actual theft than most home-storage methods. 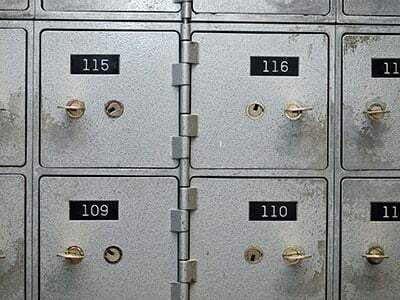 Safe-deposit boxes have a number of drawbacks, though, including limited accessibility (banking hours only) and privacy concerns. You may be observed by bank staff or other customers taking real gold bars or bullion gold coins into or out of your box. Banks are notoriously bad about protecting customers' privacy, in large part because FinCEN and Patriot Act rules require all financial institutions to keep records on their customers. Safe-deposit box contents can be seized by the IRS, other government agencies, or, in rare cases, private creditors. The contents of safe-deposit boxes are not covered by FDIC or other insurance. You can add riders to your homeowner's policy to cover precious metals stored in your home, typically at an annual cost of around 1% of their value. But reporting your bullion to an insurance company also entails a privacy trade-off. 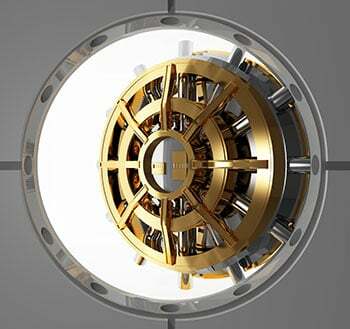 For large holdings, a bullion vaulting service such as Money Metals Depository may make sense – provided it's in allocated or segregated storage. Does the company offer a fully segregated storage type of account? Meaning, will your metal be completely separate from the vault's other clients? Will your metal be protected from an insurance coverage standpoint in the event of a large-scale heist or some sort of natural disaster? Does the company have competitive pricing? Where is the vaulting company located? Storing your metal outside the United States may also be a possibility through certain companies who offer global vaulting options. Money Metals Depository offers fully segregated storage, fully insured, at very competitive rates - all from our brand new, state of the art facility in Idaho. Please call 1-800-800-1865 for more information. 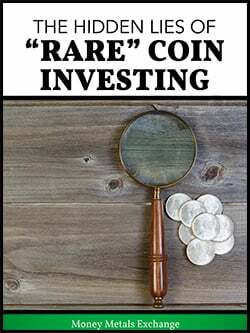 Minimums usually apply and storage rates will vary, but generally speaking vaulting companies will charge anywhere from 50 to 80 basis points to store your physical precious metals on an annual basis in a fully segregated account (although IRA storage programs can be much less). For instance, a typical yearly vaulting fee on $100,000 worth of precious metals not held in an IRA would be somewhere between $500 ($100,000 x 0.005) to $800 ($100,000 x 0.008). We strongly suggest avoiding ETFs, pooled accounts, or "warehouse receipts" issued by brokerages, banks, or other financial institutions. Remember MF Global? Investors who held warehouse receipts for gold and investment silver bars within MF Global accounts had their assets frozen and pooled together with those of other customers of the failed firm and were told they'd get back about 72 cents on the dollar. This horrifying situation is likely to happen more and more to investors who do not know how to store gold or silver safely. Make no mistake – investing in precious metals using proxies and paper instruments is more dangerous than ever in the current environment. Follow these guidelines, diversify your storage methods, and your risk of losing your bullion will be very small. Hold your wealth in mere dollars, and your risk of losing purchasing power over time will be approximately 100% – with an outside chance of a sudden catastrophic loss due to a collapse of a financial institution or an orchestrated currency devaluation! Bullion isn't risk-free – no asset is – but unlike financial assets that you have no direct control over, you can take full control over your own gold and silver bullion coins, bars, and rounds. That's the bottom line!